Well, I got a bit of good news the other day. While registering my time with my Athlink's Page in regards to the Sweethearts 5K I did last week I discovered that I had placed 3rd in my age division and about 24th overall. I am not sure why there was a mistake at the race (where the race results said I had finished 4th), but things do happen. I emailed the race director and indeed was told that I was entitled to a prize. With any luck I should get a teddy bear or some sort of age group award in the mail soon. Yesterday was the first 50+ degree day of the year so I put on my new Brooks running shoes and decided to see what I had in terms of marathon distance. Now that I am right next to the bike trail, it was a snap to just fill my Fuel Belt, grab a gel and take off. I aimed for 16 miles and figured the last 4 would be a death march, since it has been a while since I've done anything more than 12 miles in a single shot. I am happy to report that I ran the 16 in 2:27 and still finished with plenty in the gas tank. In fact, I would've shot for 20 if I had a little bit more water and another gel. This comes on top of a nearly 50 mile week. It puts me in good condition to hit a marathon sooner than I thought. While I hate to make plans off of one good workout it certainly indicates that in a few weeks I could get back to doing every-other-week 20 mile jaunts. March 8 Lucky 13 Race -- http://www.lucky13race.com/ - This half marathon is up in Honeyville Utah. I've never been there before, but the race's attraction is that you get to kick back in the natural hot springs afterwards. Honeyville is about an hour north so no special accomodations are required. I just hope for nice weather. I am confirmed for this race. March 29: Sand Hollow Marathon - http://www.sandhollowmarathon.net/ - This will require about a 4 - 5 hour drive. I'd do the full marathon and this would require a hotel stay. I'd probably make a weekend of it and do some exploring. I'd probably also want to hit up Mesquite, NV and do a bit of gambling. This is still a huge maybe and it depends upon how my subsequent long runs go. It is a small marathon, but it would give me an opportunity to visit a state park and see St George. April 12: Summerlin Nevada Half Marathon - http://www.desertskyadventures.com/summerlin2014/ I did this race last year and while the course is tough (read: hilly) it is always a nice excuse to go to Vegas for a long weekend. I am confirmed for this race. 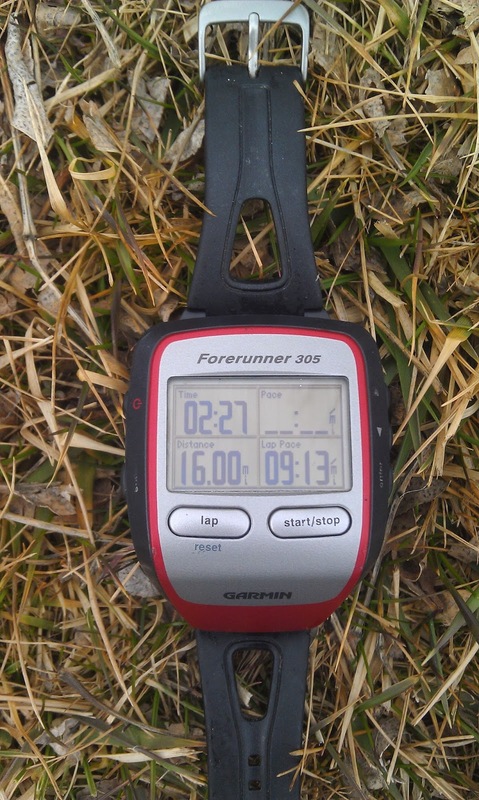 April 19: Salt Lake City Marathon - http://www.saltlakecitymarathon.com/ This one is in my own back yard so to speak. It is a big marathon (read over 10K participants). Unfortunately it comes a week after my Summerlin half. Not likely to do this one, but I could change my mind. May 10: Huff to Bluff Marathon - http://www.hufftobluffmarathon.com/ This one is in some absolutely beautiful areas of Utah. It is a very small marathon but I am told it is absolutely gorgeous. I could see myself doing this one if I don't feel ready for the Sand Hollow Marathon. June 1: Casper Wyoming Marathon - http://www.runwyoming.com/ - I met some people the other day on the bike trail that were raving about this race. I could knock off Wyoming off my 50-state list and the comments on www.marathonguide.com look promising. I've never been there before so I could see myself doing this one AND the Sand Hollow marathon. November 16: Las Vegas Marathon I am confirmed for this one. Wisconsin - Marathon - Green Bay Marathon (many halves as well).